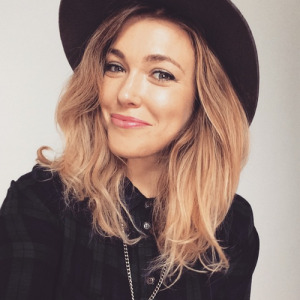 Rachel Ashley Platten born May 20, 1981 is an American singer and songwriter. She is best known for her 2015 single "Fight Song" which received worldwide success, peaking in the top 10 in Australia, Canada, New Zealand, Slovakia, and the United States. "Fight Song" reached number one in the United Kingdom. She attended Buckingham Browne and Nichols for high school, where she sang in the school's singing group. At Trinity College, she was a member of the Trinitones, the college's all-female a cappella group. As a part of a study abroad program, she went to Trinidad to do an internship at a diplomat's office and at a record label. While she was there, she sang back up for a friend's band in front of over 80,000 people at the International Soca Monarch finals in 2002. Platten graduated from Trinity College with a degree in international relations in 2003. According to Platten, from that moment on she knew she had to pursue music full-time. She then moved to New York City's Greenwich village where she cut her teeth playing with a Prince and Sly and the Family Stone cover band called Dayz of Wild. In 2012, it was reported that she married Kevin Lazan in a Jewish ceremony. She performed her solo music around the village and eventually began touring the country. She has worked with numerous charities, Musicians on Call (where she sings bedside to hospital patients) and she is an ambassador for Music Unites. She also works with the Ryan Seacrest Foundation and was an ambassador for Below the Line (a call to end world poverty).